The charismatic movement started long before the first pages of Charisma were ever printed in 1975. Though this magazine has since become the touchstone publication for Spirit-filled believers, the renewed emphasis within the American church on the Holy Spirit’s power began decades earlier. The wave started in 1906 with the Azusa Street Revival, continued throughout the first half of the 20th century and expanded beyond non-Pentecostal groups with Episcopal priest Dennis Bennett’s announcement on Passion Sunday in 1960 that he’d received the baptism of the Holy Spirit. 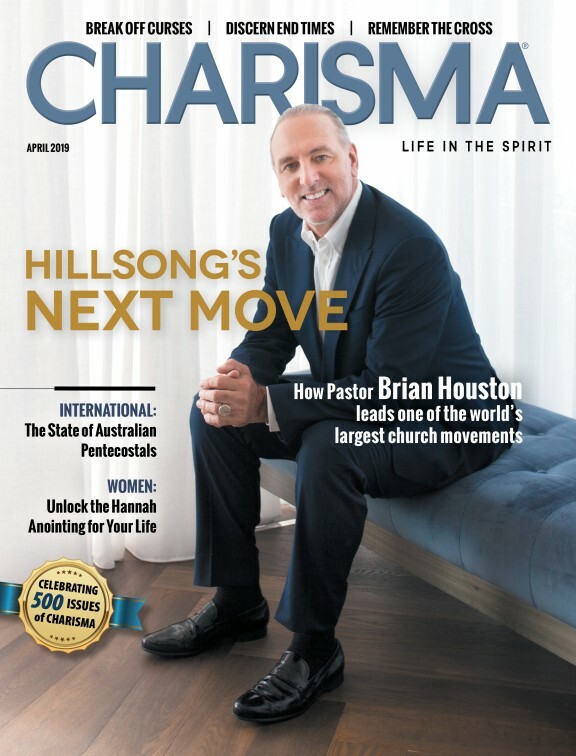 Fifteen years later, at the height of this newfound movement that was now impacting every denomination and part of the body of Christ, an Orlando Sentinel reporter named Steve Strang formed Charisma as a newsletter for his local church, Calvary Assembly of God. That was 35 years ago this month. Since then, Spirit-filled believers have joined us for a wild ride through countless highs and lows, triumphs and tragedies, highlights and scandals. For our loyal readers who have been with us through many of those years, here’s a walk down Memory Lane. And for those newer to the charismatic experience, consider this a crash course on some of the most influential, memorable and significant stories we’ve covered in the past 35 years. What a ride it’s been! Despite ongoing financial struggles, Oral Roberts opens the City of Faith medical complex in Tulsa, Okla.
Pat Robertson says he’ll run for president if within the year 3 million people sign a petition asking him to seek the office. The next year, he announces his candidacy after receiving more than 3.3 million signatures. ABC’s PrimeTime Live accuses health-and-wealth televangelist Robert Tilton of stealing donor funds. Within two years his dwindling ministry cancels its flagship show, Success-N-Life. A Father’s Day message by evangelist Steve Hill sparks a multiyear revival at Brownsville Assembly of God in Pensacola, Fla.
Joel Osteen takes the pastorate of his late father, John, at Lakewood Church in Houston. Already a megachurch, Lakewood quickly becomes the nation’s largest congregation with more than 43,000 members. The highly criticized Lakeland Outpouring draws thousands to Lakeland, Fla. Six months after Todd Bentley begins leading the daily healing services, the Canadian revivalist leaves amid controversy involving his divorce and remarrying a ministry staffer.